HEART LOOK PINK COLOR 3" Dia alarm clock. - Highly strong ABS unbreakable body. 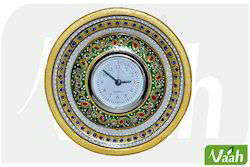 Adorn your simple looking walls as well as table with our comprehensive Wall Clock & Table Clock. Easy-to-read number and marvelous designs make them perfect for all the interiors. "We are very glad to introduce ourselves as manufactures of ultra modern clocks by our brand name “AMBANI TIMES from tik tik town of India, i. e. MORBI (Gujarat). We are having very wide range of clocks, manufactured in its most innovative way. 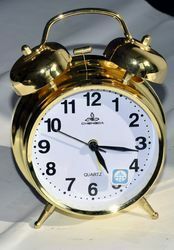 We are leading supplier & Trader of Abstract Table Alarm Clock. We are basically deals in bulk quantity in Corporate gift Items.